Florida has it's own version of Bigfoot, known as the Skunk Ape, thought to be a distinct separate species from the Sasquatch. 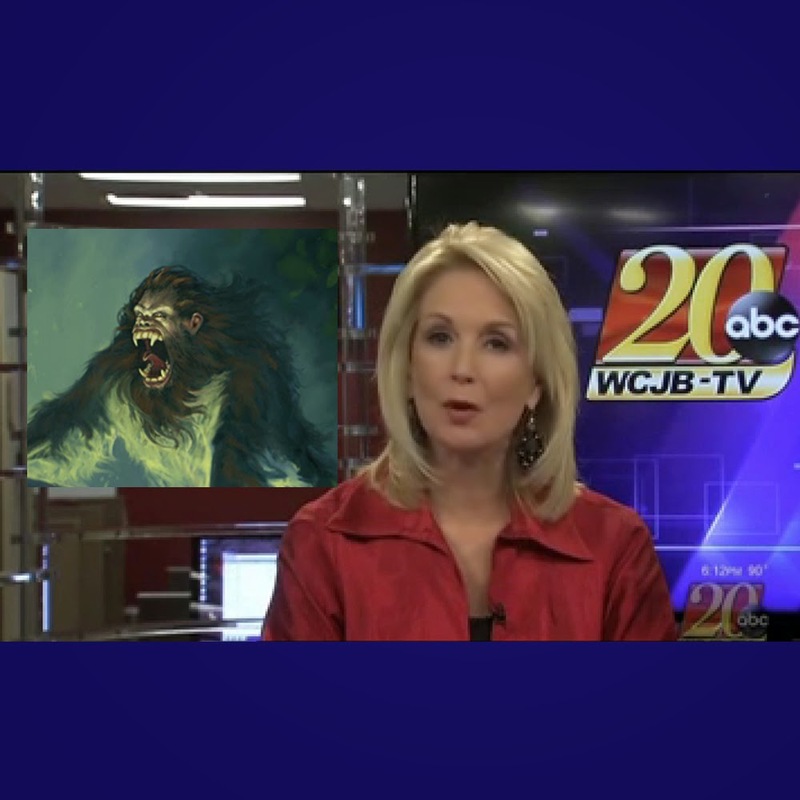 In a recent news segment Florida's WCJB-TV interviews those who have talked to witnesses and reveal the popular diet of the Skunk Ape. read the report below followed by the video segment. What can the dark shadow passing through the woods be? John Bird is a manager at BC Quarter Circle Ranch in Fort White. He says a neighbor who lives down the road told him he had seen skunk apes. "He said that they were pulling the spanish moss off the trees and eating it," Bird said, remembering what a neighbor had told him. "He also told my fiance and i and her uncle that he on a regular basis feeds these skunk apes sweet potatoes and plantains." And while it may seem strange, skunk ape sightings are not uncommon in the area. Bob Hagen, owner of the ranch says he's lived on the property his whole life… he says his grandparents and great-grandparents told him stories about the mysterious creature. "I have actually never seen anything that i would swear to you is sasquatch, skunk ape, or bigfoot, or anything else," he said. But, he adds, he has seen some strange stuff around. "I was out on the tractor on the pines a couple of months ago, and first, out of the corner of my eye I saw something pretty large moving through the pine trees," Hagen said. Big foot, sasquatch, or florida skunk ape, thos who claim to have seen it say its tall, dark, but not quite so handsome.